The Israeli Police and Israel Security Agency (ISA or Shin Bet) released for publication Monday that both forces recently uncovered a terror cell of Palestinian Arabs planning to hurl stones and Molotov cocktails at drivers on Route 443. At least 15 Palestinian Arabs were arrested in the Palestinian Authority (PA) settlement of Beit Ur-Tahta over the past several months. In some cases the suspects had caused significant damage to persons and property. Some of the arrested men had previously been involved in terror cells and had recently been released from prison, according to the report. As a result of the investigation, the Shin Bet also uncovered a Hamas terror cell building an explosive device against the IDF. Details about that terror cell have not yet been released for publication, however. Rock attacks against Jewish Israelis have become more and more common in Israel over the past month. Last week, Palestinian Arab terrorist hurled stones at the windshield of a car full of women and children traveling on Route 60. No one was hurt in the attack. Earlier this month, Palestinian Arab teenagers hurled rocks at a group of yeshiva students visiting the tomb of a Talmudic sage in the Lower Galilee. The attack was premeditated, students claim, as the youths descended upon the students’ tour bus wearing masks, and a car was seen following the bus after it finally managed to escape. Students were forced to hide under the seats to avoid being hurt by the projectiles. 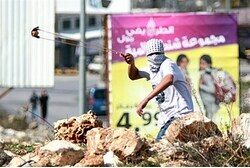 The community of Beit-El was also thrust back into the spotlight on Tuesday over rock attacks, after it was alleged that whilst police take a hard line against local Jewish activists, the perpetrators of a recent barrage of rock-throwing incidents are still at large. Route 443 has been a particular concern for the government, who recently banned ministers from using the road out of fear that it would be the target of more attacks. On Sunday night two Arab terrorists were apprehended as they prepared to attack the Jewish town of Enav in northern Samaria. US president barrack hussein obama muslim or not last week mortally endangered the Jewish people by saying, through his Secretary of State, that Jewish life in Judea and Samaria is “illegittimate”. Then he almost welcomed Iran into the world’s nuclear club. Isn’t that the world’s most significant expression of anti-Semitism? Hamas blames Israel for death of Tunisian scientist Hamas admits aviation scientist killed in Tunisia was working for the group, vows to avenge his death.